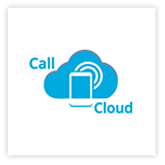 Call-a-Cloud is a leading VoIP Service Provider in Malaysia. Our business-grade SIP services ideal for many SME and enterprise businesses, taking advantage of state-of-art VOIP technology with localized numbers covering Johor, Kuala Lumpur, Penang and others Toll-free DID. Specialized in both Shared or Dedicated Cloud-based PBX services, offers customers a complete range of business communication needs.